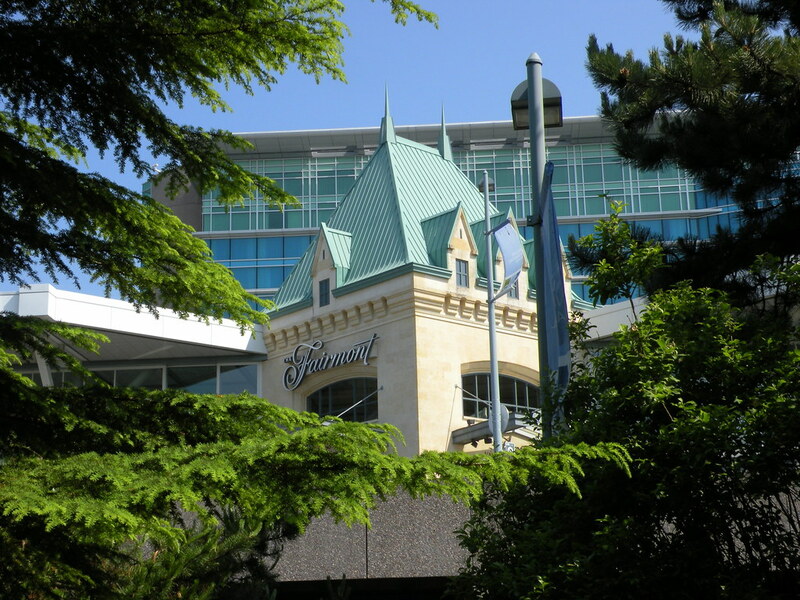 Learn more about Fairmont Hotel Vancouver or make a booking. 'Fairmont from Vancouver Airport Park' by Flickr user paulhami. Used under Creative Commons Attribution-ShareAlike License.